World renowned fishing tackle company, Hardy and Greys have confirmed that they will be showcasing some of their company’s finest products at the Glasgow Angling Centre Open Weekend on the 1st, 2nd and 3rd of March 2013! New products on show from Hardy will include the new Ultralite CLS and Perfect Wide fly reels and a new range of Hardy salmon fly lines and the new Greys Strata clothing range is sure to wow some of the thousands of anglers who attend these famous events. As well as holding a free Prize Draw and sponsoring the Distance Flycasting event at the weekend they will have company representatives John Henderson, Ian Gordon and Stevie Munn on hand to answer questions and give advice on Hardy Greys gear and of course general fishing issues. John Henderson - The Hardy, Greys and Chub representative for Scotland and the north of England. 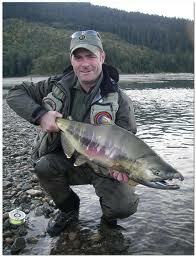 John is also an accomplished all round angler and a great flycaster. John will be at the open weekend to answer any questions and help you choose the right Hardy products. 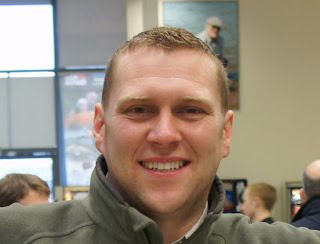 Ian Gordon - Hardy and Greys game fishing tackle consultant. 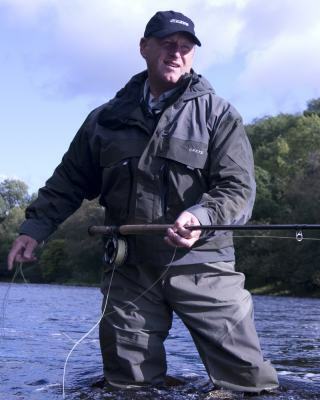 Ian will be doing spey casting demonstrations and presentations. Iain will also be on hand to answer an questions about Hardy/Greys tackle, and salmon fishing. Stevie Munn is part of the Hardy Greys Academy. Stevie is also a qualified Advanced Professional Game Angling Instructor in Fly Tying and Fly Casting with APGAI-Ireland. He'll be on hand at the open weekend to talk about Hardy Greys products.